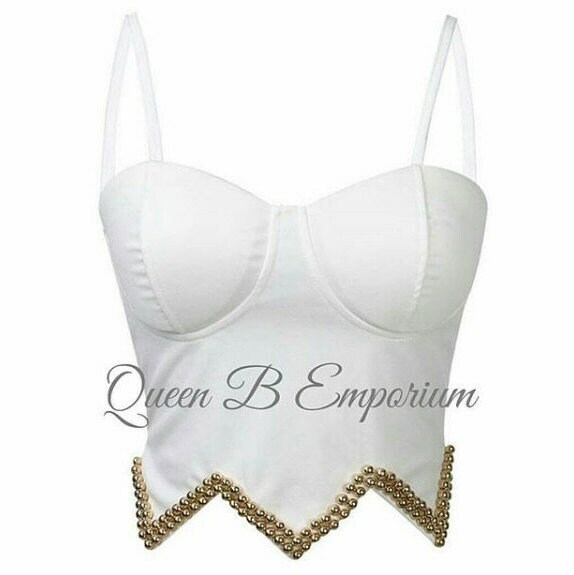 This QBE top has been beaded and accented with the most favored gold embellishments for that special look you've been waiting for. Complete with padded bust. Made to go with a wide variety of outfits of whatever you chose. Pair it with any high waisted pant or skirt for the best appearance. Please keep in mind that the crop top look is made to accent the small of your waist, bringing out the best in your body's look. Wear at your own risk, or invest in some bodyguards.